TORONTO - The major political leaders are scrambling for support in southern Ontario today as polls suggest that a minority government is looming. 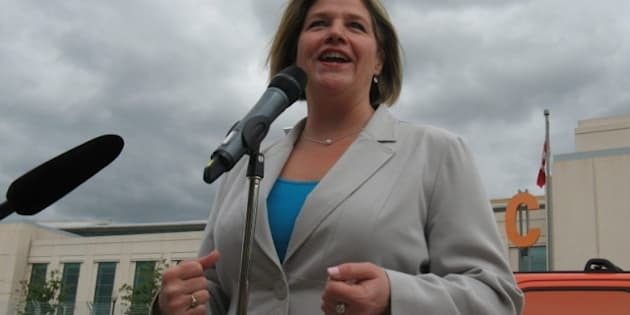 Premier Dalton McGuinty is in the Toronto and Kitchener areas, Tory Leader Tim Hudak is in the southwest while the NDP's Andrea Horwath is in Brampton and Toronto. McGuinty has his work cut out for him getting more support after saying Sunday that he will refuse to strike any deals with his rivals in order to form a minority government. He went so far as to say "no coalition, no accord, no agreement, formal or informal, or any other linkage of any kind." Polls have indicated the Liberals and the Progressive Conservatives are in a dead heat heading into the final week of the campaign, with the New Democrats trailing but picking up support. That has raised the prospect of a minority government in Ontario for the first time in 26 years. The premier's declaration came after Hudak accused McGuinty of planning "backroom deals" with the New Democrats. Hudak also warned that Ontario could end up with the Liberals and NDP scheming together to hike taxes. Horwath, however, was evasive when asked if she would rule out a coalition. "I'll give the people of the province, Ontarians, the respect they deserve and wait to see what their decision is," Horwath said while campaigning in Toronto. She talked up what an NDP government would do during its first 100 days in power, stressing priorities such as cutting the HST from hydro bills and freezing tuition.